Wow! 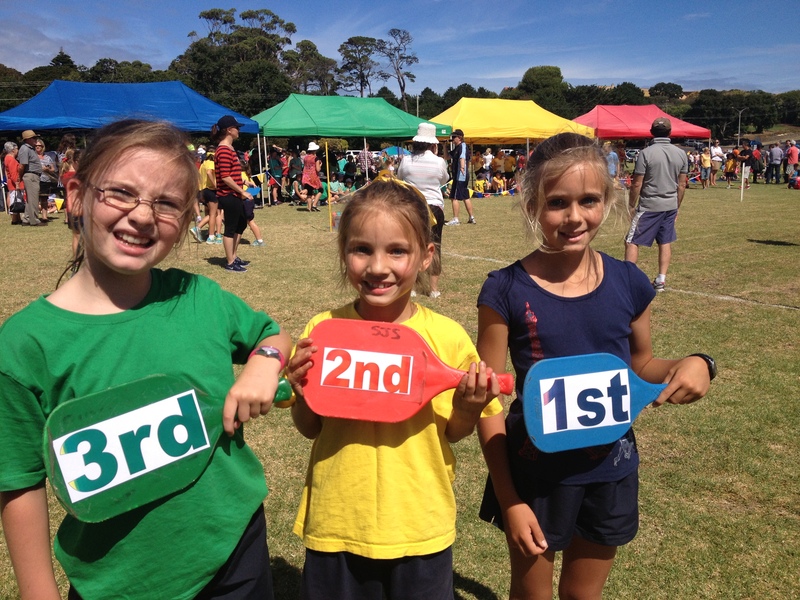 What a week for Pippa! What a happy, strong and determined girl she is. The smile is permanently planted on her face. Pippa’s not able to have chemo so we’re waiting again to see what happens next week, but at the moment, who cares???? She’s happy, seems as fit as a fiddle, is at school and when told she had to go back to the Royal Children’s Hospital next Monday she as quick as a flash told her doctor, “Oh no, not me, I’ll be on school camp!” It’s Pippa’s first ever school camp and there is no way she is going to miss it. I already knew that if chemo clashed with it I would be packing it up and taking it along and just dealing with what would happen. I’m slightly glad I don’t have the stress of having to do that! 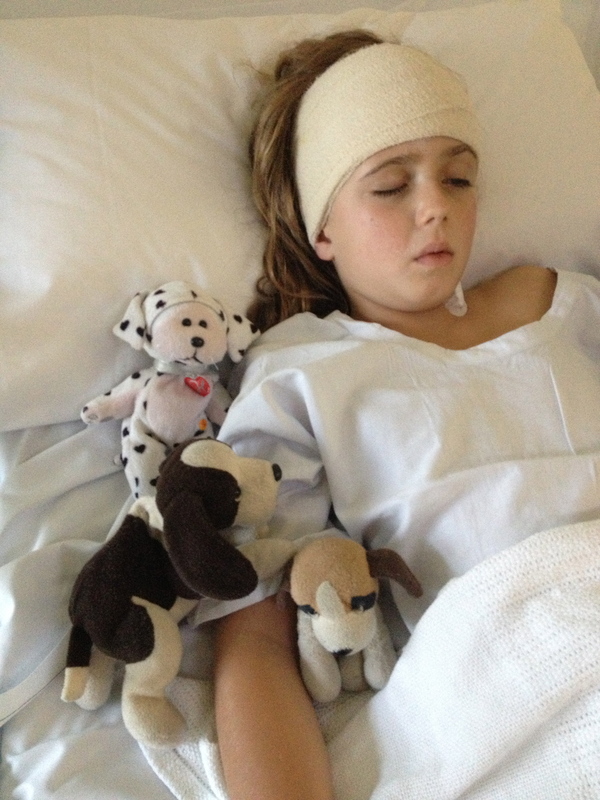 A little bit of negotiation with her doctor and me and Pippa agreed to us driving down Wednesday morning not missing out on one minute of camp because of some silly old tumour in her brain! Next, I had the pleasure of telling Pippa she is off to see Taylor Swift when she plays in Melbourne in December! 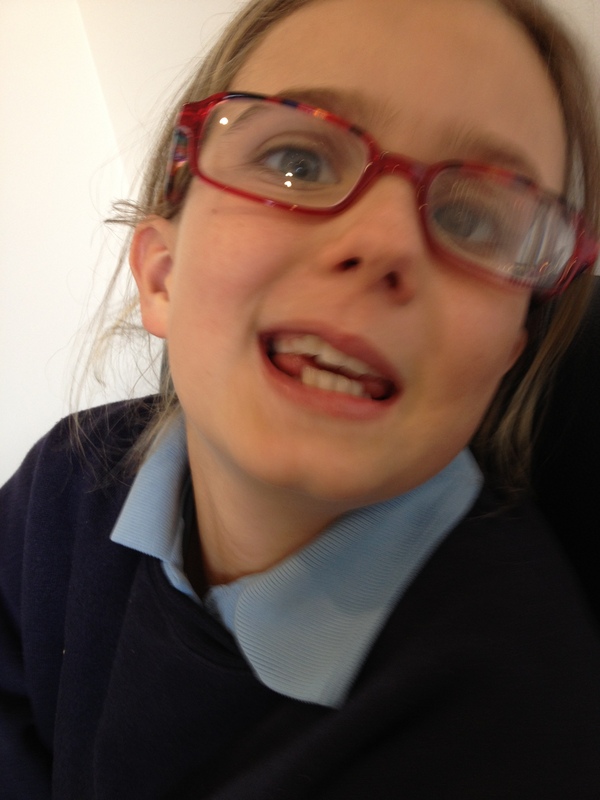 We were in the waiting room for the eye specialist and she couldn’t contain her excitement! The smile is still on her face and she mentioned it to no one at school until she could share it at show and tell today! Big news!!! Who’s happy to be going to see Taylor Swift??? Pippa has again blown me away while simultaneously bringing tears to my eyes. Sometimes I find myself thinking that if Pippa didn’t have this awful tumour in her brain there would be so much I wouldn’t know about my little family. 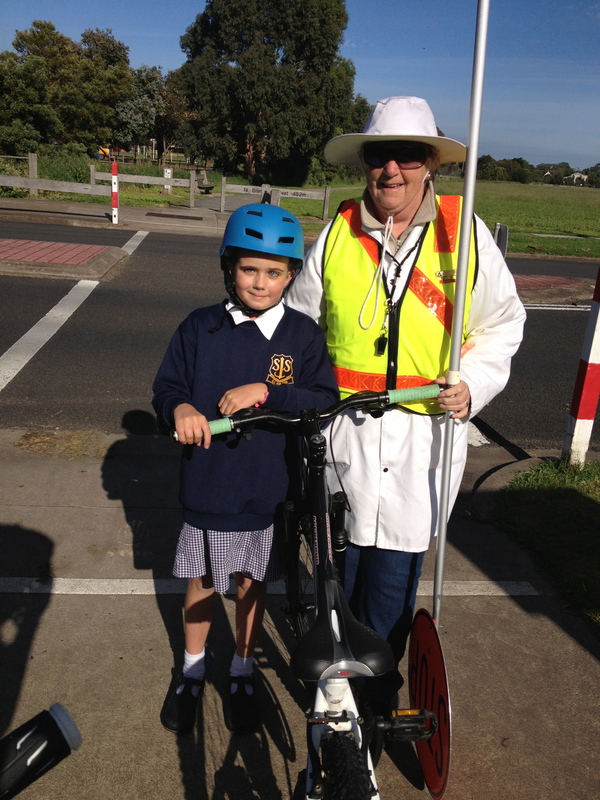 Today was ride to school day. Today was a big day! Pippa and I had talked that she would ride today but this was going to be a pretty big challenge. 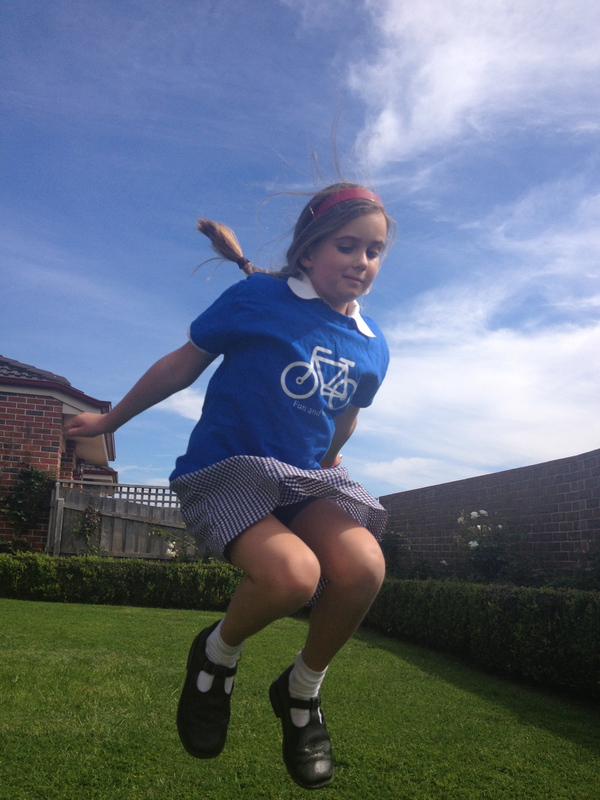 Before 26 June Pippa was a natural athlete – able to do any sport, running fast and winning often at school athletics…..
On 11th July, Pippa had a craniotomy and lost her balance…..
After the craniotomy and 7 weeks of radiotherapy Pippa could still not walk in a straight line without losing her balance. Her neurosurgeon advised that any loss of balance from the surgery should have returned and to be prepared that she may not regain her balance. 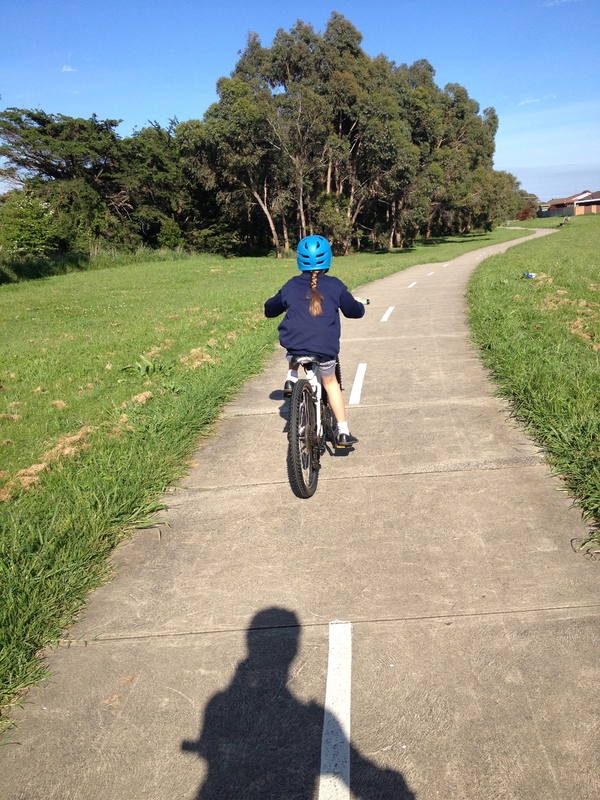 Today Pippa rode her bike (slightly large as it used to be James’) along the bike path to school. She was so proud of herself and even extra excited about receiving a t-shirt for her efforts!